It was 2006, and I was taking a long walk. I had been trying my best to plow though an investment book filled with charts, graphs, and lots of technical language. I couldn’t imagine struggling through all 300-plus pages of its dense finance-speak. I wasn’t a complete neophyte in the world of investing. As a trial lawyer, I had represented many investors who had lost a significant portion of their life savings due to misconduct by their brokers and financial advisers. I had retained experts with PhDs in finance to assist me. I had reviewed thousands of pages of internal brokerage firm documents and cross-examined many brokers. My original concept was to write a “sound bite” book on investing. It would be short, written in plain English, with investing guidelines that could be quickly understood by everyone, without needing a broker or adviser. I had an epiphany: The traditional securities industry is not part of the solution, as it so desperately wants investors to believe. It is the problem. I hurried home and wrote for four days straight. I delivered a finished manuscript to a literary agent. Two days later, she sold the book to Penguin, who remains my publisher. I changed the title to The Smartest Investment Book You’ll Ever Read, but not for the reasons many think. 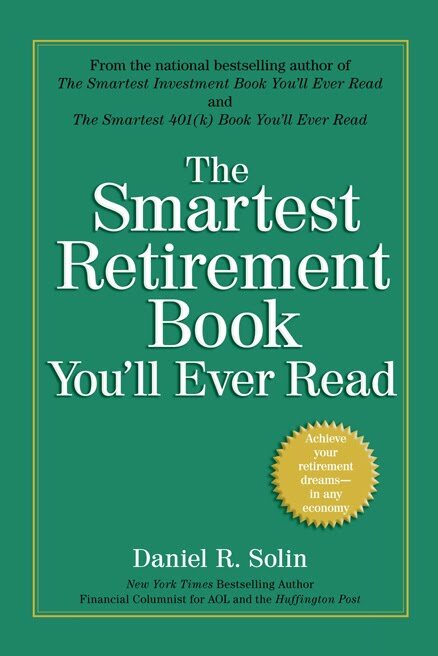 I wasn’t arrogant enough to believe this was the smartest investment book ever written (A Random Walk Down Wall Street, by Burton G. Malkiel, gets my vote for that accolade). But I thought it was the smartest investment book everyone could easily read and understand. I provided instructions so the reader could implement the simple, academically based investment recommendations contained in the book. 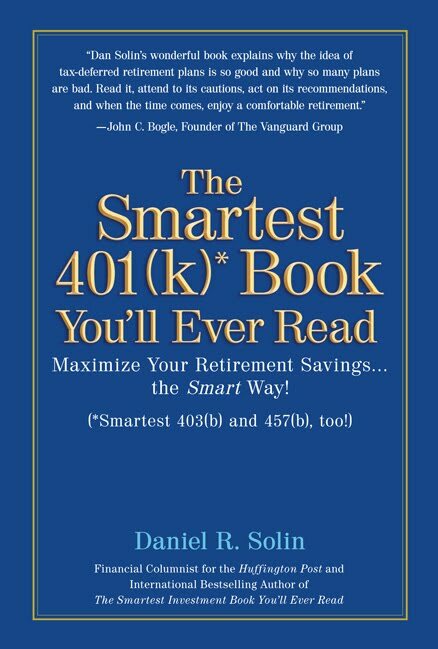 Now more than ever, there is a need to reaffirm the basic advice in that book, and the advice in my subsequent books, The Smartest 401(k) Book You’ll Ever Read and The Smartest Retirement Book You’ll Ever Read.The principles I discuss in these books helped investors withstand the worst market crash in fifty years and emerge unscathed. In this blog, I will be applying these same principles to the many challenges facing investors today, especially those planning for retirement. The securities industry is very creative at coming up with ways to separate you from your money. My job is to protect you and give you information that will maximize your returns. Really, I view my job as making sense of the nonsensical world of investing. I invite you to join me on these pages. Feel free to ask questions, comment on these blogs, and suggest topics you’d like me to cover.